We brought her home. She wasn’t eating very much. She is not completely house-trained, though she eventually got used to using pee pads inside the house. We thought it was a fairly short-term commitment so we decided to make it an official adoption for hospice care to keep her comfortable. 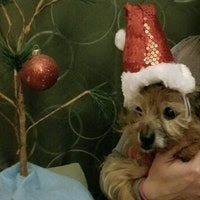 Tiny wishing everyone Happy Holidays! And then… we tried a second round of stronger medicine on her infection and a different medicine for a parasite. Those both worked. We found a rare dog food brand that she loves – of course it requires special order at a pet store 25 miles away. She began eating much more and putting weight back on. 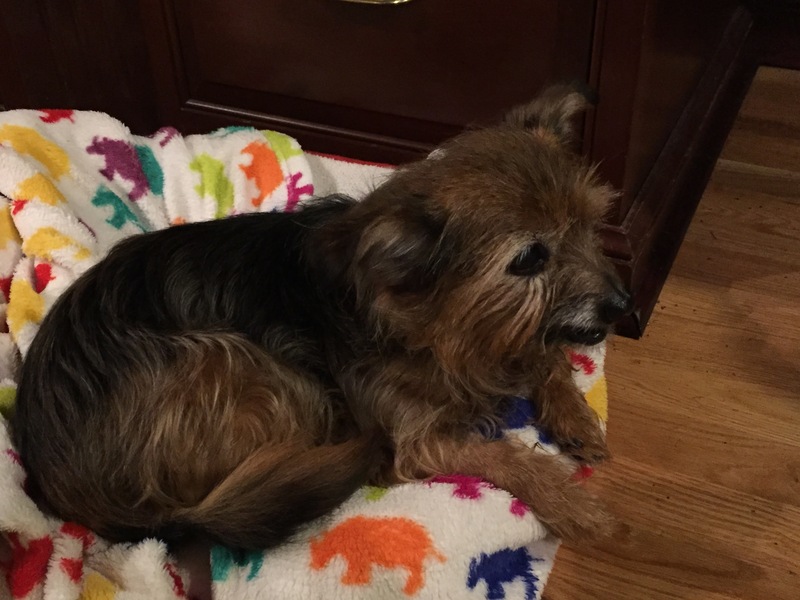 Over the next few weeks, she perked up a lot – she was running around the house in the mornings and pacing circles around the kitchen all evening. At a recent vet visit, her blood work and liver and kidney functions were back within normal range. She is now healthy enough to have her rotting teeth removed which should help her bad breath. 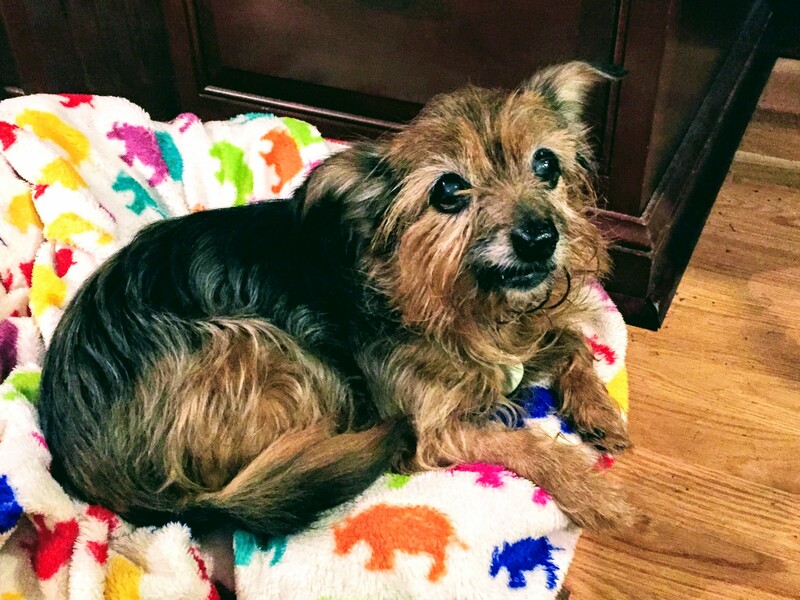 If her teeth can be fixed, the vet said she could see Tiny living another several years! With that prognosis, we knew we needed to get Tiny a sweater for the cold winter. After the success of Pennyguin, we wanted something similar. 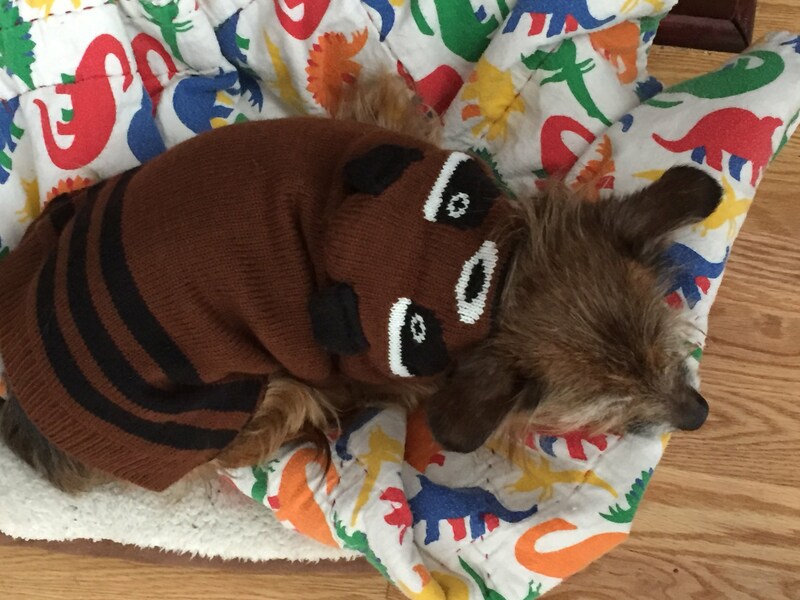 We found a raccoon sweater for Tiny. 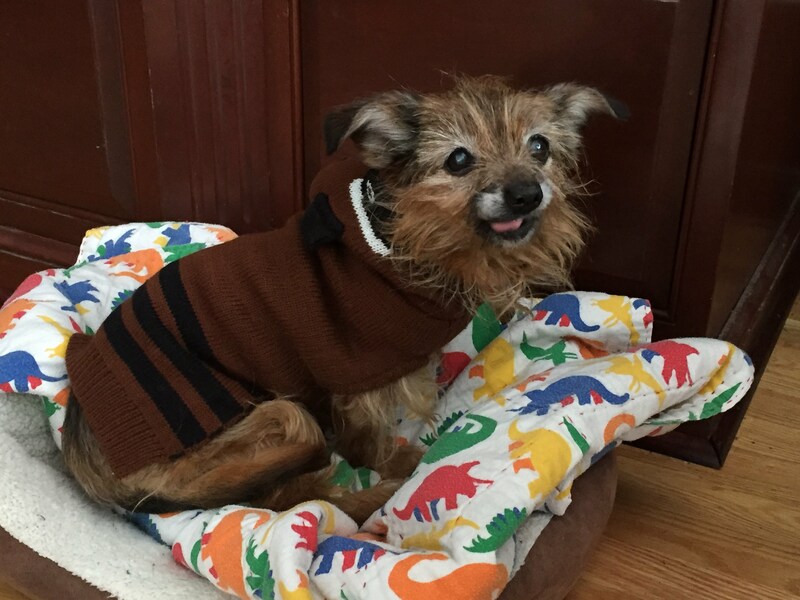 Tiny’s raccoon sweater – when wearing it, we call her Tinooki. For those fans of Mario – we thought it looked a bit like Tanooki suit Mario so we started calling her Tinooki when she is wearing her sweater. Tiny looking bright and perky. This entry was posted in Animals and tagged animals, Dogs by Dan. Bookmark the permalink. Yayyyyy Tiny!!! She’s looking great! Cute sweater!